Discussion in 'Help & Support' started by vr6cer, Oct 16, 2018. 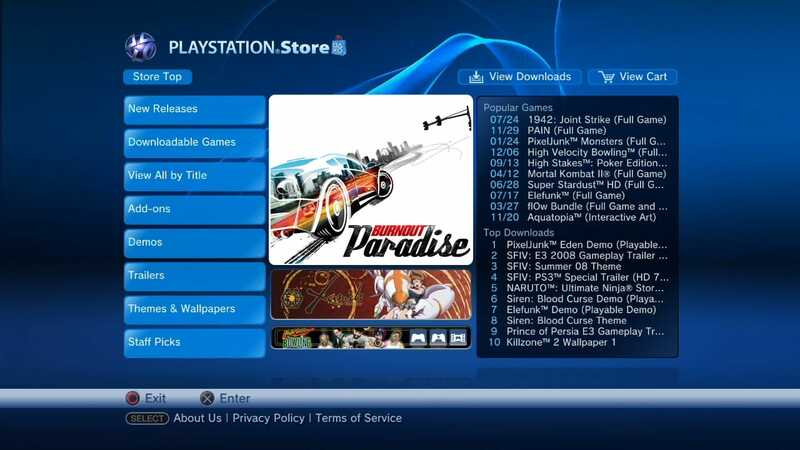 Is there any way to restore the classic, old PS Store from 2008 for Ps3 CFW? With No PSN access? I really loved this design and I miss the simplicity and fluid operation of this classic Ps Store. Thank you! Why would you want the store without PSN access? I don't think you could buy anything if you weren't logged in. Just for nostalgia, and demos basically. I know, it's sound stupid, but I am interested in a solution. Because my ps3 is on cfw and I would like to modify the system like this, I do not wan't to create a psn account or use my own to risk a console ban. I could be wrong but I think you need to be signed into PSN to use the store. Regardless, you won't have access to the newer demos. You know something just occurred to me, why are you trying to avoid a console bann on a console you intend to use without PSN? Even a banned console can continue to access the internet, you will only lose PSN access if you get banned, and if you delete your old account and make a new one then you won't risk your original account getting banned either. In other words, you are avoiding using PSN to avoid losing PSN? That doesn't make any sense lol, unless you intend to sell the console, or go back to OFW someday. Your as good as banned if you use the console without PSN. There are steps you can take to help keep your console from getting banned, or even to unbann your console. Let me know if you would like any help with that.